Get notified when Kendrick Lamar tickets are available! 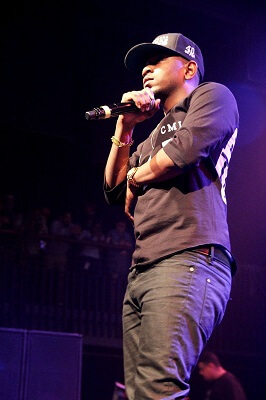 Kendrick Lamar is a rapper and songwriter based out of America. His career as a musician began as a teenager using the name K-Dot. His mixtape generated attention and led to him signing on with an indie record label until he got major recognition in the year 2010. In 2012 he signed a major-label deal with Aftermath and Interscope records. His debut, good kid, m.A.A.d city, was exceptionally successful upon its release that same year. Popular singles include “Poetic Justice” and Grammy-award winning single, “I.” You can see Kendrick Lamar perform these tracks and more by purchasing Kendrick Lamar tickets using the links above.